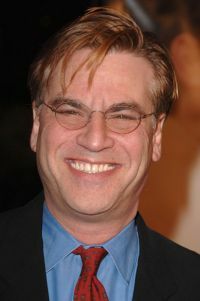 You are currently browsing the tag archive for the ‘aaron sorkin’ tag. JOHN: The Social Network is an immensely entertaining film. I was totally skeptical of the concept of a Facebook film, but the advance raves piqued my interest. Good thing it did because I had a hell of a good time. I hesitate to give it any sort of higher significance as a lot of other commentators have. It’s not the film that explains our generation or anything like that. It’s an inherently interesting story about a driven kid and a business dispute, deftly constructed and full of entertaining dialogue. Truthfully, the fact that it’s about a game-changing website barely even matters. It does sort of dwell on themes of obsession and honor, but it’s primarily a plot-driven film and is better for it. Come Oscar time it could certainly find a spot in the Picture, Director, and Screenplay races, and probably deservedly so. I’ve soured on Sorkin over the years as his contrived dialogue does less and less for me. It’s still quintessentially Sorkin, but the characters don’t feel like they came from some sort of smooth-talking alien planet like in Studio 60. Interestingly, it may end up in the Original Screenplay race since it was apparently written separately although concurrently with the Ben Mezrich book. And David Fincher brings an interesting enough visual style to the table, though there’s one totally bizarre rowing scene that stands out whose flair I didn’t get at all. I liked Trent Reznor’s score, but not as much as I hoped. As for the cast, I love Jesse Eisenberg but he’s got the Michael Cera syndrome of playing the same character in every movie. Here he tightens his lips and alters his body movements, but it’s sort of the same old performance. Justin Timberlake is turning into a very good actor but if he ends up in the Supporting Actor hunt it’s only because he’s Justin Timberlake. The acting revelation here is Spider-Man-in-waiting Andrew Garfield as Mark Zuckerberg’s screwed business partner Eduardo Saverin. If audiences come out of the theater sympathizing with Saverin over Zuckerberg more than the creators intended, it’s probably because Garfield nails it. Go see The Social Network when it comes out. I don’t think you’ll be disappointed. BRIAN: Like Jared, this film was high on my list of movies to see. Probably would have been my answer to our Question of the Week of the Oscar movie we are most looking forward to. Having been a relatively early Facebook user, and been on the perimeter of the perimeter of the entire Facebook creation story (Hi Alice! ), I was fascinated to see how it translated to the screen. And then there’s the pedigree behind it. Aaron Sorkin on the script, David Fincher behind the camera and Jesse Eisenberg in front of it. Verdict? Highly entertaining and enjoyable — funny in parts, depressing in others. Watching Eisenberg work through the Machiavellian scheming was a joy — here is a character whose brain is always working. The gem of his performance is that you never know if he’s thinking about the next release of Facebook or if he actually cares about the people he’s screwing over. The early sequence of the implementation of Facemash, Facebook’s predecessor, really sets the tone and allows Sorkin’s script to shine. The whole first hour was a perfect example of Sorkin at his best: heavy exposition with a light touch that gives you just enough insight into the characters to be drawn in for the next sequence. My only trepidation going in was that Sorkin was working off of a book by Ben Mezrich, a fiction author who pretends to write non-fiction. Notorious for playing fast and loose with his facts, Mezrich devises a backstory to the Facebook narrative that doesn’t really exist. Yet as I watched The Social Network, I realized that in the end, it doesn’t really matter, because even when movies are based on just-the-facts sources, they inevitably alter the story for cinematic convenience. For this, and other reasons, The Social Network reminded me a lot of one of my other favorite (and underrated) movies, Shattered Glass. In both, you have a narcissistic prodigal genius who has little ability to interact with others. The difference, of course, is that Stephen Glass got caught. But what I appreciate out of both films is their ability to let you sympathize with and despise its central character — not an easy feat. And each of them finds a way to make what should be boring, exciting. For Shattered Glass, its fact-checking and editing a magazine (and believe me — its not that exciting), and in The Social Network, it’s coding the back-end of a website. 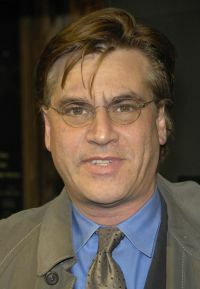 Aaron Sorkin makes programming look cool. Unfortunately, I’m worried that this film is going to bomb, and bomb badly, and the box office. The screening was half-empty and the few friends I’ve talked with have little to no interest in seeing it, which is a shame. It’s a very good movie that deserves to be seen — and I hope that Sorkin gets his much deserved screenwriting nod. Eisenberg, and the film itself, are deserving of recognition too, but it’s too early for me to say if it’s my front-runner. And just to disagree with John — I thought Garfield hammed it up and was actually distractingly bad in this. I’ll be curious to see what he’s like in Never Let Me Go.